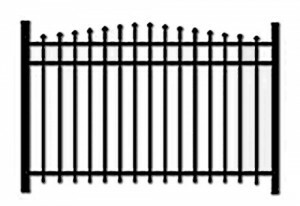 Miles Fence offers several different brands and styles of aluminum, ornamental maintenance free fence. Aluminum fencing looks wonderful and ensures you don’t have to worry about protecting your wood fence, staining it or having it deteriorate over time. Your maintenance-free aluminum fence will be installed by our experts and comes with a limited lifetime warranty on the aluminum and a 1-year workmanship warranty. We can enhance your fence by providing operated gates and other specialized accessories or entryway construction. We are a distributor for On Guard Fence Systems. 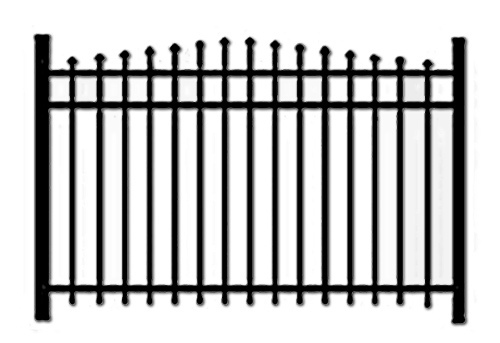 We also offer more a more economical Alumi Guard Made Aluminum Fence Supply. Series A, B, C and Heron are available almost immediately for installation. Get a free estimate for your fence needs quickly and easily by calling 502-354-9162 or submit a request to schedule your free quote online. 2 Rail Flush Bottom / Heron Our most economical style. Available almost immediately for install. Series A / Starling Available almost immediately for install. Series C / Siskin Available almost immediately for install. Series B / Longspur Available almost immediately for install.